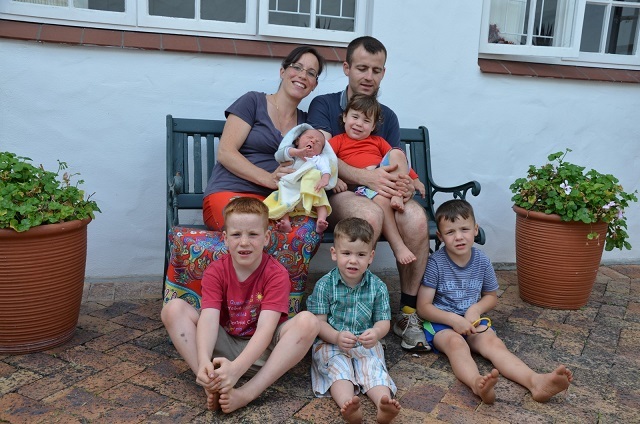 Benedicte and Didier Majoli recently relocated from France with their four children after Didier was given a post overseeing an engineering project in South Africa. 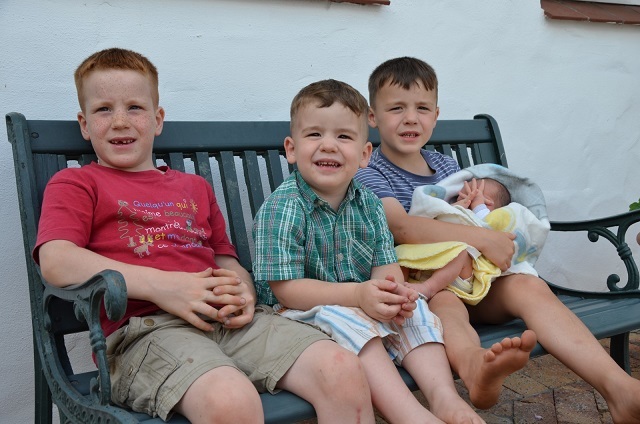 When Benedicte and Didier Majoli decided to have their 5th baby in Cape Town (hoping for another girl as they already have 3 boys), Benedicte’s personal trainer, Noon Barnard, referred her to me as a midwife for natural birth support. I was thrilled when Benedicte then decided to give birth to their 5th baby at Mtwana Birth Centre. She had given birth to her four children – three boys and a girl – in France and was anxious that she have more control over the birth of this fifth baby. Benedicte and I communicated in my broken French and her broken English to begin with, but as we got to know each other better, I came to understand how medicalised her other births had been. Her biggest concern was that she had been on her back and forced to push in this position to birth her babies. It was very painful, she said, and her babies were not given to her immediately, but taken away to be checked first before being handed to her. This time she wanted to be able to move around, choose her birth position and have immediate and uninterrupted access to bond with her new baby. Didier called me at about 3am to say they were coming through and I switched on the dim lights and waited to welcome them. Benedicte was calm and relaxed, stopping occasionally to lean against Didier and breathe when she experienced a surge (contraction). I took her blood pressure reading, massaged her back with my special aromatherapy oils, listened to the baby and established that all was well. I ran a warm bath and she chose to rest in the warm water for about 15 minutes. As soon as Benedicte wished to get out of the bath she experienced a really strong surge and I knew the baby was on her way. 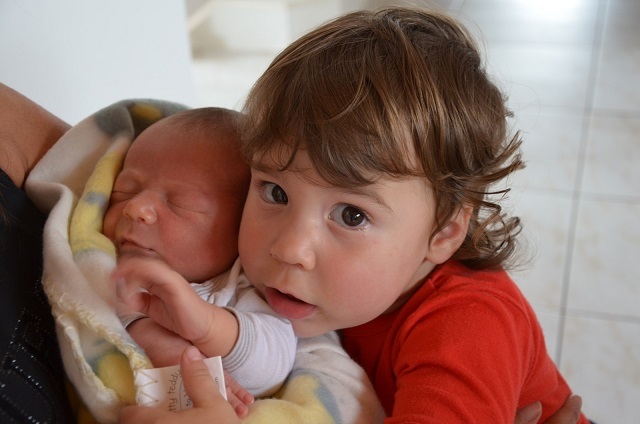 Benedicte knelt on a cushion on the floor and said “She’s coming, she’s coming,” and after two expulsive surges another baby BOY gently slipped into her hands, while Didier delightedly held his wife and peeked over her shoulders. I stayed close by, watching unobtrusively as they greeted their son ecstatically, gratified that there was no trauma or direction necessary. 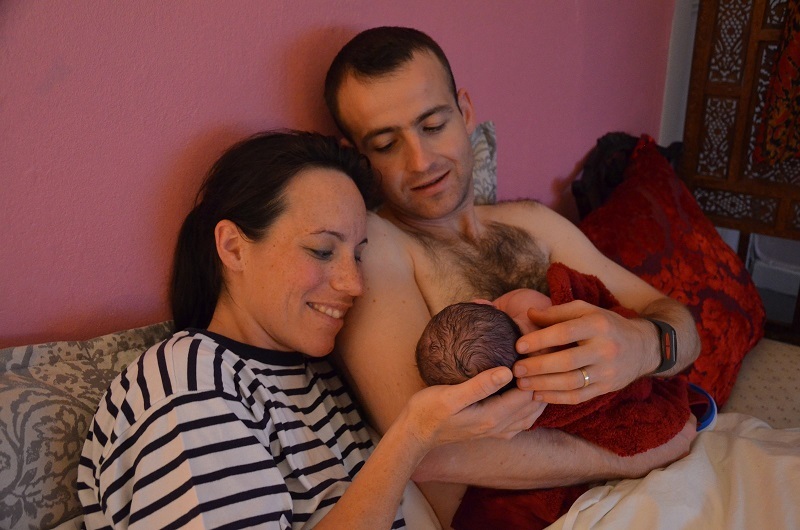 After Benedicte birthed the placenta still attached to the baby, she and Guillaume returned to the warm bath for a soak before dressing and getting into a warm bed. The cord was cut a few hours later in the day. Mother and baby spent the day resting and bonding and Didier brought the children in the afternoon to visit, before the family left Mtwana Birth Centre in the evening to go home. The couple were delighted to have another son and named him Guillaume – as I was delighted to be there when they welcomed him into the world. Below are a succession of pictures of introductions to the family of the new baby! Guillaume blissfully sleeping after all the activity! Wow! This sounds so paintless! Blissful indeed! Congratulationstithe whole family! Just how birth was meant to be, beautiful and inspiring. I loved reading this, Marianne. 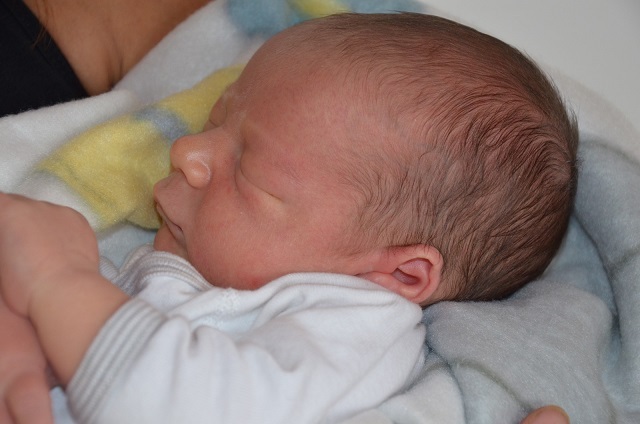 Lovely for this family that you were able to help fulfil their dreams of a good, normal birth. How lovely and how ironic that they had to come all the way to the Southern tip of Africa to find you and finally have the birth of their dreams.